David Thaxton was born in Neath in South Wales and trained at the Royal Welsh College of Music and Drama, where he won Young Welsh Musical Theatre Singer of the Year and was runner up in the Kathleen Ferrier Young Singers' Bursary. 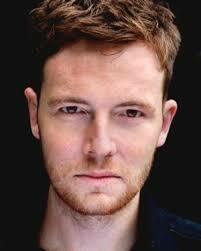 He was also a member of the Only Men Aloud Welsh Choir who won the BBC show Last Choir Standing. Theatre credits include Bamatabois/Courfeyrac & Enjolras in Les Misérables (Queen's Theatre), soloist at the opening gala for the Wales Millennium Centre, Foreman in Trial by Jury (BBC National Orchestra of Wales, St David's Hall), creating the role of The Wolf in John Doyle's The Tailor's Daughter (Welsh National Youth Opera), Nick Shadow in The Rake's Progress (Wales Millennium Centre), Sweeney in Sweeney Todd (Norwich Playhouse), Harasta in The Cunning Little Vixen (Cardiff Sherman) and Warchild for NYMT (Anglian tour). Radio: a special 21st anniversary performance of Les Misérables (Radio 2) and Trial by Jury (Radio 3). Recordings: Foreman in Trial by Jury (Chandos), This Land of Ours (EMI) and Karl Jenkins's Requiem/In These Stones Horizons Sing (EMI). Last year David Thaxton played Giorgio in the Donmar Warehouse production of Sondheim's musical Passion for which he won the 2011 Olivier Award for Best Actor in a Musical. David has just finished playing Raoul in Love Never Dies at the Adelphi Theatre.